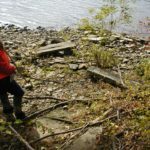 The Venture Smith Site: Archaeological complex on Haddam Neck that was once the homestead and workplace of a former African slave. Venture Smith was so named by the man who purchased him as a ‘venture’ of his own. Venture later chose the surname of his last owner, Oliver Smith, for his surname after he was freed. Venture later bought his and his family’s freedom and became a successful American farmer and entrepreneur in river trafficking, owning three houses, a fleet of riverboats, and a 130-acre farm at his death in 1805. Venture was a very well respected businessman in the area. 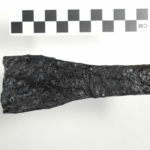 The archaeological investigation by American Cultural Specialists, LLC under the direction of Dr. Lucianne Lavin and Dr. Marc Banks provided details of his life not mentioned in the brief narrative that Venture dictated to a local school teacher. 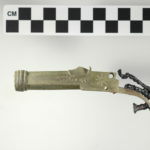 The excavations uncovered such significant information as the physical layout of his home lot where he and his family lived and worked, their personal possessions, and their eating and drinking habits. 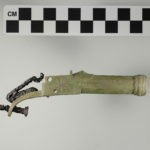 Over 50,000 artifacts and ecofacts were recovered. They and the many cultural features at the site demonstrate the great extent and intensity of Venture Smith’s work ethic. 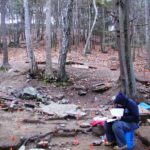 The excavated information from the Venture Smith site shows how archaeology can support and enhance the historical narrative. In his narrative, Venture described himself as thrifty. His statement was supported by the archaeological findings, or lack thereof. Venture spent little money on what he considered ‘frivolous’ items; there was no evidence of games, gaming, liquor bottles, jewelry, or pipe smoking equipment. Venture’s mention in his narrative of being robbed and cheated in his dealings with some whites is also supported by the archaeological evidence. 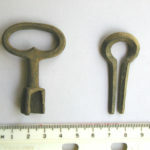 The design of his family compound and artifacts recovered therein, such as a padlock and a pistol, reveal the family’s efforts to dissuade and prevent thievery. 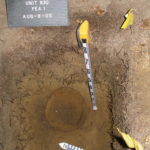 The archaeology at the site contradicts the historical record in some ways as well. Venture’s house was not the small and simple affair recorded in the historic record. The house was relatively large, and stood a story and a half. 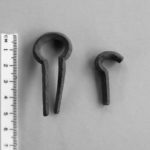 The entire complex encompassed at least nine structures that included three houses, warehouses, a blacksmith shop/forge, a dock, and a boat pull in for boat repair. The property was also situated advantageously along one of the deepest parts of the river where large boats could gain access. The dock, boat pull in and blacksmith shop/forge clearly show how self-sufficient the compound, and by extension Venture and his family, would have been. The compound was situated along the colonial road that ran through Haddam Neck, and Venture built two houses (in which apparently his sons Cuff and Solomon lived) with clear views of the road, the entire compound and Venture’s boats floating on the Salmon River, as well as his barns located on the plateau above it. With these two houses placed strategically, the Smith family would have had clear views of the goings on in their complex — their role as watch towers helped to prevent theft from Venture’s warehouses and shipping complex. This idea of Venture’s sons keeping watch from their houses is supported by the 1800 federal census, which showed that Cuff and Solomon were living adjacent to their father. Venture was an important member of the community on Haddam Neck though he still considered himself, and was considered, to be an African. The historical record tells us little about his social interactions but provides information on his economic undertakings. Venture formed trade networks and alliances with prominent white families in the area, which would have discouraged whites from cheating him in their dealings. 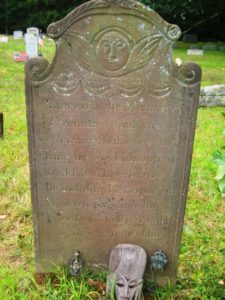 Venture and his wife are buried in the churchyard of the First Congregational Church in East Haddam close to the church, a place of social importance. This was an honor usually reserved for members of high status to the church community, though there is no surviving evidence that Venture was a member of the church. In fact, some archaeological evidence suggests otherwise. There were Quartz and Tourmaline crystals recovered from areas which were likely doorways and windows. 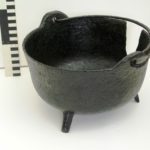 Another interesting find at the site was an iron kettle that was found in what would have been the cellar of the house. These finds have been interpreted to possibly have been part of rituals in Venure’s African heritage. 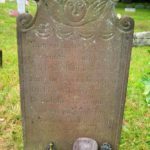 Venture’s life is a wonderful role model for persons of all ethnic origins, and it is celebrated in East Haddam at the First Congregational Church each year in September on Venture Smith Day, which is dedicated to remembering Venture’s triumph in the face of adversity. 2007 Final Report. 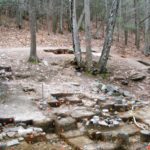 Phase 1 and Phase 2 Archaeological Investigations of the Connecticut Yankee Atomic Power Company Property in Haddam Neck, CT. The 2005-2006 Field Seasons, with a Synopsis of the 2002-2004 Field Seasons and an Overview of the entire 7-year Archaeological Study. Volumes 1-3. Unpublished report prepared for CYAPO, Haddam Neck, CT. On file at the Homer Babbidge Library, Special Collections, University of Connecticut at Storrs. 1798 A Narrative of the Life and adventures of Venture, a Native of Africa: But Resident above Sixty Years in the United States of America. Related by Himself. Printed in New London in 1798. Reprinted A.D. 1835 and Published by a Descendant of Venture. Revised and Republished with Traditions by H.M. Selden, Haddam, Conn, 1896. J.S. Stewart, Printer and Bookbinder, Middletown 1897.